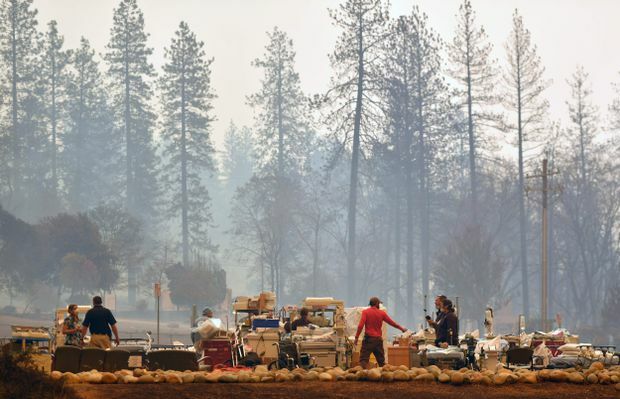 A fierce wildfire in Northern California incinerated most of a town of about 30,000 people with flames that moved so fast there was nothing firefighters could do, authorities said Friday. Nine people died in what quickly grew into the state’s most destructive fire in at least a century. 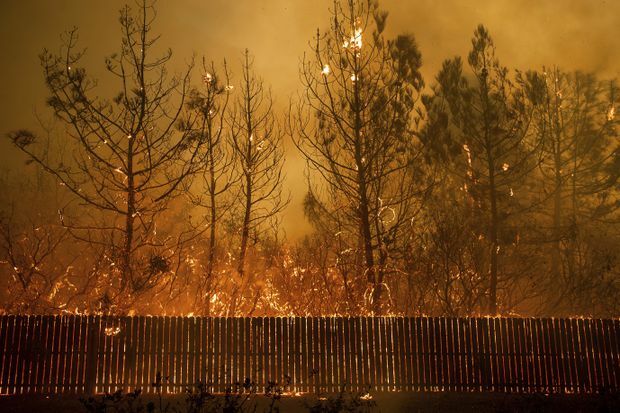 Flames climb trees as the wildfire tears through Paradise, Calif., on Nov. 8, 2018. 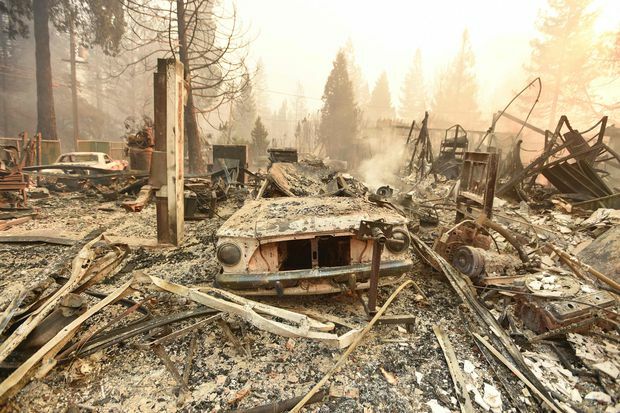 The burned remains of a vehicle and home in Paradise, Calif.
Search and rescue teams scramble to evacuate patients as the Feather River Hospital burns.